Chris has written eight historical novels. 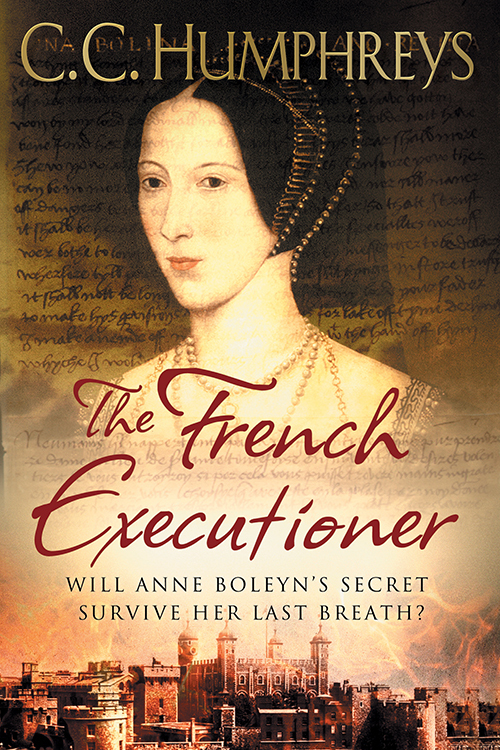 The first, ‘The French Executioner’ told the tale of the man who killed Anne Boleyn, was runner up for the CWA Steel Dagger for Thrillers 2002, and has been optioned for the screen. Its sequel was ‘Blood Ties’. 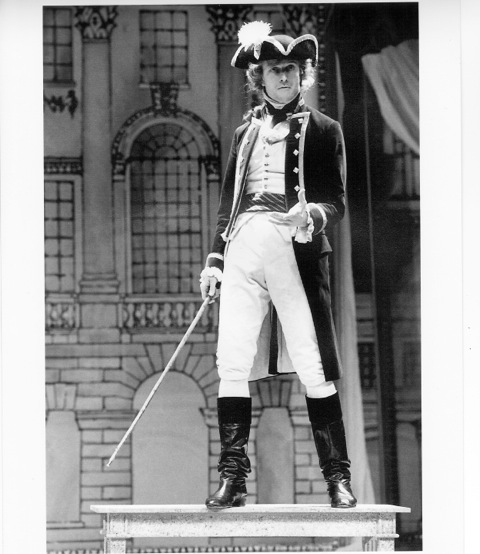 Having played Jack Absolute, he stole the character and has written three books on this ‘007 of the 1770’s’ – ‘Jack Absolute’, ‘The Blooding of Jack Absolute’ and ‘Absolute Honour’- short listed for the 2007 Evergreen Prize by the Ontario Library Association, all currently being re-released in the US by Sourcebooks. His novel about the real Dracula, ‘Vlad, The Last Confession’ was a bestseller in Canada and his novel, ‘A Place Called Armageddon’ was recently published in Turkish. All have been published in the UK, Canada, the US and many have been translated in various languages including Russian, Italian, German, Greek, Spanish, Portuguese, Czech, Serbian, Turkish and Indonesian. He has also written a trilogy for young adults ‘The Runestone Saga’. A heady brew of Norse myth, runic magic, time travel and horror, the first book in the series ‘The Fetch’ was published in North America in July 2006, with the sequel, ‘Vendetta’ in August 2007 and the conclusion, ‘Possession’, August 2008. They are also published in Russia, Greece, Turkey and Indonesia. His latest Young Adult novel ‘The Hunt of the Unicorn’ was released by Knopf in North America in March 2011 and also published in Spain. 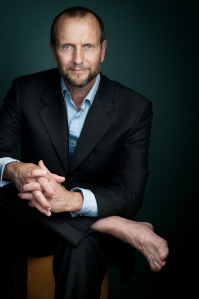 He has recently signed to write two books for Century in the UK and Doubleday in Canada. 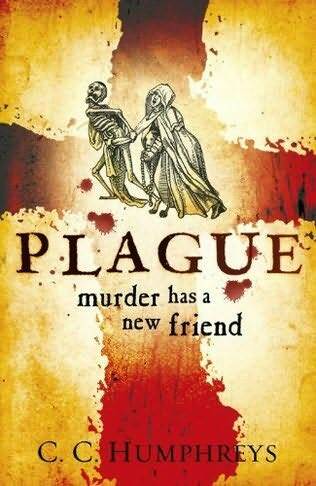 ‘Plague’ and ‘Fire’ are tales of religious fundamentalist serial killers set against the wild events of 1665 to 1666, London. They will be published in 2014 and 2015. In The French Executioner, C.C. Humphreys once again brings the past to life in all its glory and peril. This thrilling novel captures the breathtaking story of how courage, love, and loyalty bound Anne Boleyn to the man who ended her life—and saved her legacy. What was the most surprising thing you discovered in your research for the novel? The French Executioner was my very first novel. Thus I had no real idea how to write one and assumed that one needed to know absolutely everything about a book before you began to write it. (I have since discovered that such obsessive research can be a form of procrastination and now only read for about three months, trusting that the novel and especially the characters will teach me what I need to study as I go along!) Also, I didn’t believe that I would ever truly summon the will (and courage) to actually start. So I spent a lot of time in second hand bookstores scanning shelves, thinking: If I ever do write that book about Anne Boleyn’s Executioner – which I probably never will – but if I do I will put everything into it I want to write about! Ooh, look at this book about slave galleys. I’d want a battle with them. Ooh, here’s one on the Black Mass. That’s definitely in! So, in the six years between having the idea for the novel (Anne Boleyn begs her executioner to take her six fingered hand when he takes her head and get rid of it. What happened next) and beginning to write it, I acquired a large library of books I read on various subjects. The most surprising thing? It was a book about St. Antony’s Fire. This was the mass hallucination that would take villages when the villagers ate bread made from rye, that had been infected by the grain disease ergot – later to be synthesized into LSD. The poor people would eat the bread, and anyone who did would start having terrible contractions and massive hallucinations a few hours later. They would not know what it really was so assumed the Devil had come to take them to his fires. There are reports from all over Europe but the disease began to disappear with better crop techniques in the 18th century. However there was one outbreak in 1952 in a village in France. I bought that book, read it, shuddered – a lot of people died – then used it in my novel, as some of my characters get caught up in the Fire. Horrible – but very colorful. My main villain is the Archbishop of Siena – a corrupt, decadent, highly educated killer. His hallucinations – full of Biblical and Satanic figures – were especially interesting to write! For me this was an interesting experience: Chris Humphreys is one of my favourite authors, but this is a skill he has honed, and The French Executioner is an early novel for him, so how good was he back in 2002? Well the starting premise of this historical novel is the execution of Ann Boleyn. From three known facts: that she was beheaded by a French swordsman, that his name was Jean Rombaud and she had an extra finger on one hand from this point CC Humphreys has spun a tale that takes the reader across France, Germany and Italy and surprisingly thrills along the way in much the same way he does now in 2014. Those who read my reviews know i hate to give away too much plot, the synopsis gives enough for you to want to buy the story. What im here to do is say…DID IT WORK? I can honestly now say that Chris Humphreys has not written a bad book (this was the only one i had not read up to now). As usual great characters, wonderful story arc, great pace and over all plot, if I’m über critical maybe not quite as tight as say “Shakespeare’s Rebel” but considering the growth you see in many authors, Mr Humphreys just started out brilliant and kept going….